In 2014, 42% of the world´s population will conduct elections. From Sweden to New Zealand and from Indonesia to Hawaii, in all corners of the world, people will decide their common future by going to the ballots. Fiji will get their first democratically elected parliament and Turkey will elect a President for the first time. That’s reason enough to celebrate. For us at Smartmatic, we have even more. During the last ten years, our main goal has been to help nations conduct better elections. Happily, we´ve helped millions around the world to build a common future through legitimate elections. And we feel proud. So Happy Global Elections Day to each and every one of us. Because building fairer societies through better elections is something we should all celebrate. 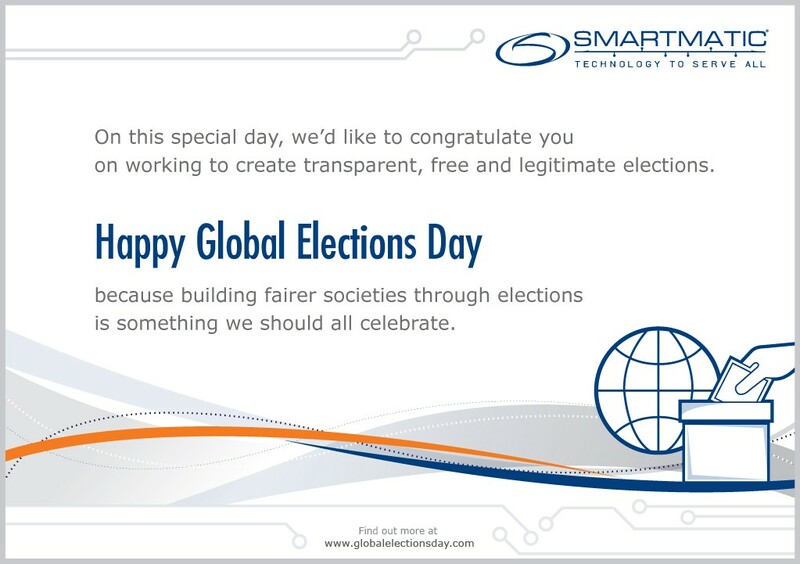 What is Global Elections Day?